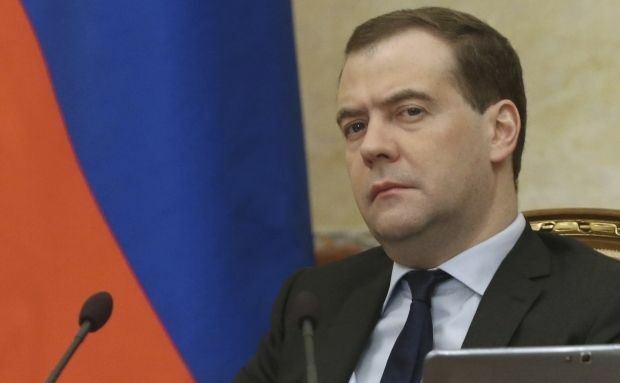 On January 1, 2016, the Russian Federation will tighten customs protection and impose economic sanctions against Ukraine, Russian Prime Minister Dmitry Medvedev wrote on Facebook. "From January 1, 2016, the level of customs and tariff protection against Ukraine will be increased, because of the decision of our neighbors to enact the Association Agreement with the EU. In addition, our retaliatory economic measures will affect Ukraine as a country, which has joined the anti-Russian sanctions," Medvedev said. Ukraine has repeatedly stated that the entry into force of the economic part of the Association Agreement with the EU will not be delayed. Read alsoNo country, including Russia, can prevent Ukraine-EU FTZ on Jan 1, 2016: Yatsenyuk"Let no one doubt that the agreement on the free trade zone will start working from January 1, 2016," Ukrainian Prime Minister Arseniy Yatsenyuk said. A similar position was announced by the EU.